What is Ohara Matsuri (おはら祭り)? It is actually a Japanese festival that is celebrated in elaboration for two days and usually involves mass dancing (normally traditional songs), taiko performances and dance parades. Wanting to join but the distance (and cash perhaps) hinders you from enjoying the merriment? 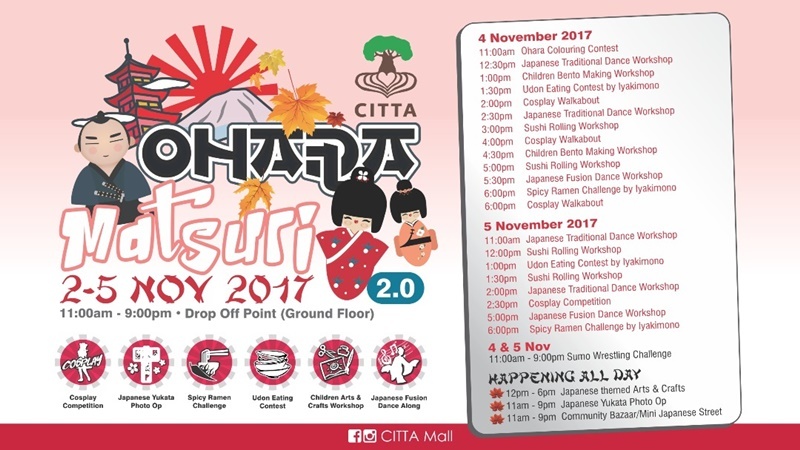 Fret not coz the matsuri (festival) has landed in Citta Mall and everyone is invited! 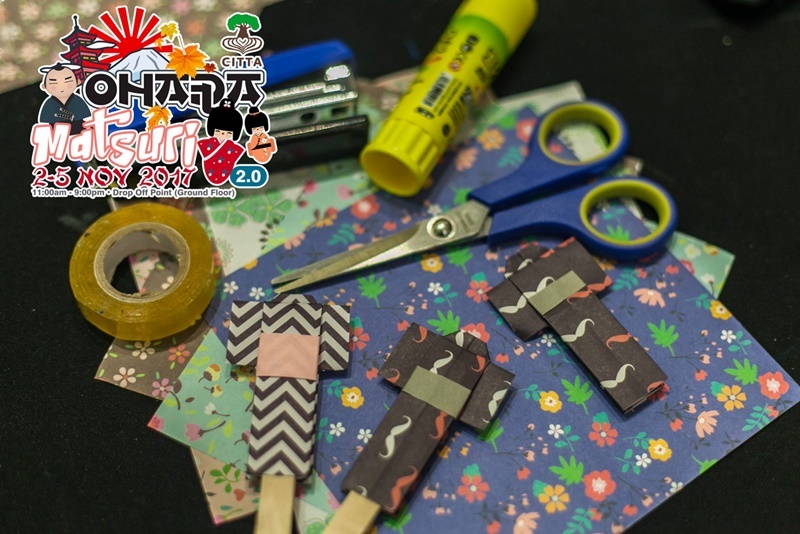 Ohara Matsuri (おはら祭り) 2.0 will starts tomorrow (2 Nov. 2017) and carries on until 5 Nov. 2017. And the best thing is they have games for everyone of any age. For the kids (and the kids at heart hahaha), a coloring contest for you. If you have the talent, just fill in the form here to join in [Colouring Contest] and also Kids Japanese Fusion Dance Workshop too. 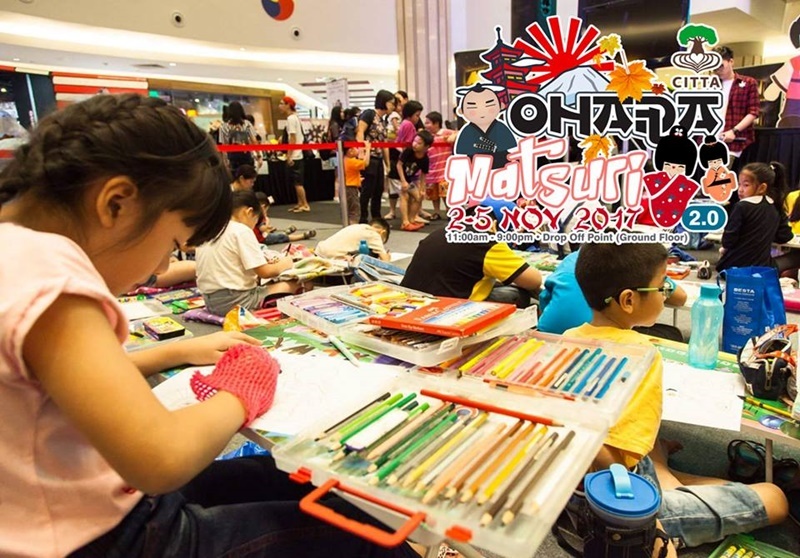 There will also be Sushi Rolling Workshop, Children Bento Making Workshop and Japanese Themed Arts and Crafts for everyone to join in. And for those who love challenges, a spicy one at that too, come forward to join in the Spicy Ramen Challenge by Iyakimono. Of course, this very special competition is for those who are unique and not afraid to try new things. 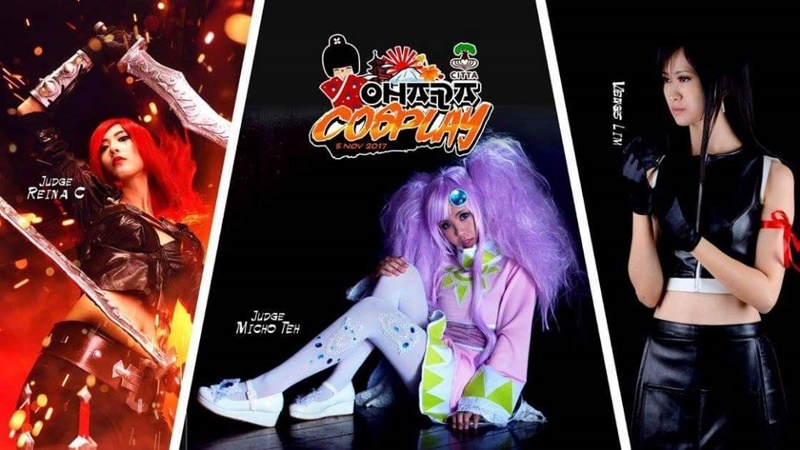 It is the Cosplay Competition! Oh dear - which anime character should I copy this time around? 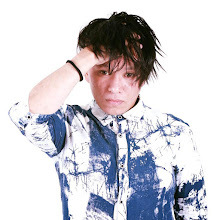 Here's a little sneak peek to pique your interest for the upcoming Ohara Matsuri (おはら祭り) 2.0. Menarik. 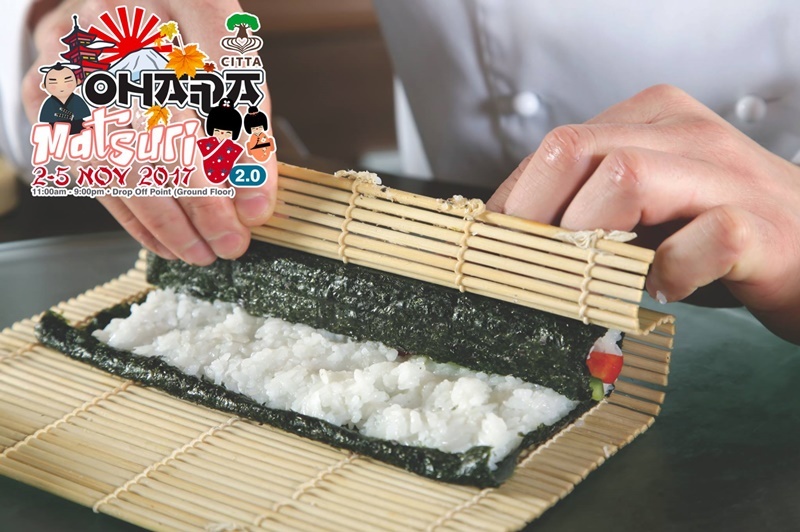 I suka aktiviti arts and Japanese craft dan rolling sushi tu. Pernah buat sushi sendiri, tapi azab nak memotong. Good event untuk perkenalkan budaya Jepun. 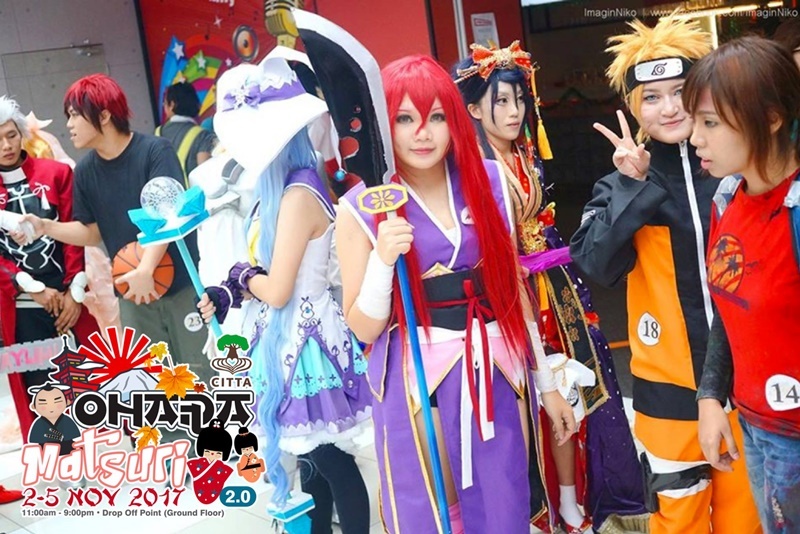 Nampak macam menarik je cosplay kali ini. Now tengah rajin follow mereka yang aktif bercosplay. menarik. Sesi buat sushi tu memang best. Pernah join kelas buat sushi dlu masa zaman universiti. Ala dah lepas rupanya event ni. 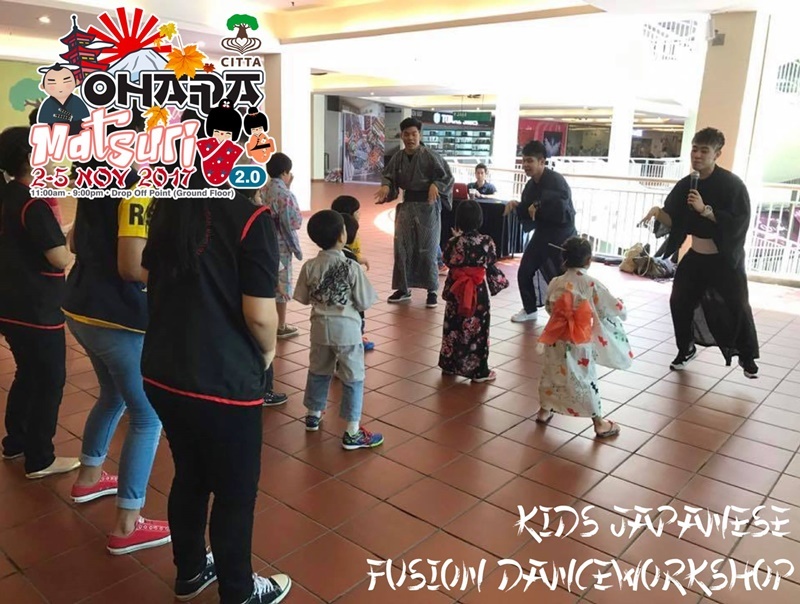 What a wonderful event this was to bring Japanese culture to Malaysians, and starting them from young. I believe anyone interested in Japanese culture would have benefited from this event.